Vulnerable women in Barrow and South Lakeland now have a safe haven to help them on the road to recovery. The Well Communities, based on Dalton Road in Barrow, has set up a women only recovery house in the town thanks to a £4,000 grant from the Cumbria Fund, the High Sheriff’s Crimebeat Fund and the Shepley Group Fund. Historically, the not for profit community interest organisation has faced many challenges in reaching out to vulnerable women, due to the initial mistrust as to what will happen to them and their children. With the support of staff and volunteers, who all have ‘lived experience’ of addiction, women will be able to overcome their fears and accept help with the many issues that have lead them to a life of addiction. The project will include a weekly Parenting and Play group to look at the importance of mothers involving children in their recovery activities, so they also experience the changes as they happen. Many women in addiction experience low self-esteem and often see other women as a threat. 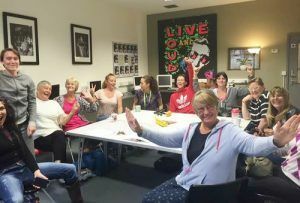 Through a twice-weekly group, they will explore self-esteem and confidence building, delivered through an adult learning project, identifying individual learning goals to help them re-build confidence. A peer-led network of phone-based and online ‘mutual supporters’ will also be created to enable anyone feeling low or at risk of relapse to tap-into a network and draw on female support. 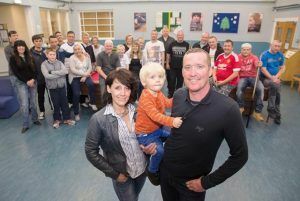 The Well was set up in 2012 by David Higham, himself a recovering addict and ex-offender, who wanted to offer help to people leaving rehab, treatment centres and prison. It has hubs in Barrow, Lancaster and Morecambe and provides housing for up to six months with 24-hour support. Individuals, families and local communities can take part in a variety of social activities, mentoring and therapeutic programmes.